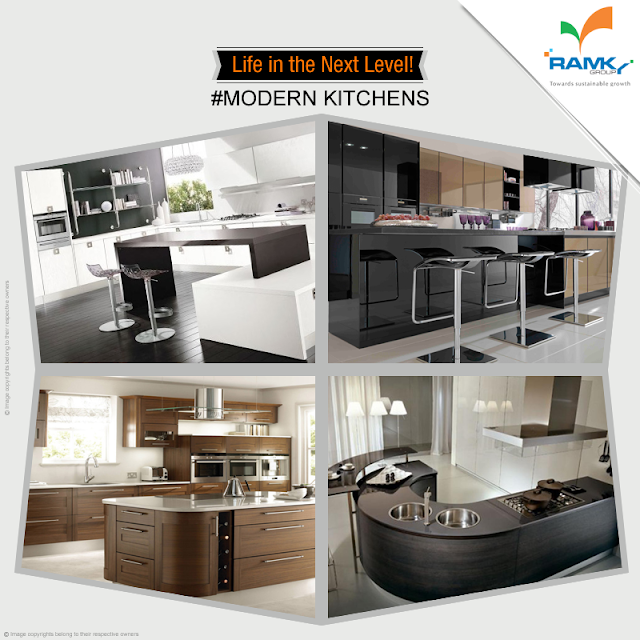 Ramky estates & farms ltd..: ‪#‎LifeInTheNextLevel‬ The Kitchen is the Heart of the home, Make your kitchens with stylish modular cabinets and shelves. Try these latest kitchen designs in your smart home. ‪#‎LifeInTheNextLevel‬ The Kitchen is the Heart of the home, Make your kitchens with stylish modular cabinets and shelves. Try these latest kitchen designs in your smart home.